What Are the Benefits of Using Short Domain Names? You must first have an URL associated with your website before you can do anything with it. Nobody can reach your website without using a URL. Fortunately, domain names are generally not expensive. However, one of the most common domain tips to find and use the shortest one possible. Nearly all top websites on the Internet use short names and for good reason. Furthermore, shorter domains tend to cost more too. Long domain names can be hard to type, recall, spell, or even say, unless they have a clear meaning, such as LongDomainNames.com, for instance. The problem is that there isn’t any set boundary for what counts as “too long”. If you have shortness in mind, it is highly likely that you will avoid choosing a needlessly long domain. Sometimes the meaning of a domain gets lost in a longer domain name. A more concise domain name will help you get your identity and point across. The most popular trend in recent years is using short brandable names with a hint of desired feel or relevance. The shorter attention spans have shifted the focus to conciseness and shortness in numerous areas. Short company names help convey more authority and this refers to generic domain names, where the generally short top-tier domains, convey massive authority. People type in those URLs with an expectation of finding what they are searching for on a website they can trust. A spammy website is highly unlikely to pay more for registration of their domain name, so higher quality yields more trust. The longer the domain is the more the typos. Shorter names are not necessarily easier to spell or type, but fewer letters means less chances for typos. Typos might not appear to be something to be concerned about, but collectively, they have the potential to siphon a sizeable portion of traffic that you otherwise should be receiving. More benefits, shorter domain names tend to be more versatile when it comes to branding. Websites with longer domain names show either the full name in text, -0000, or simply a logo, which does nothing to help visitors remember the name or an abbreviation, which can mean losing traffic to an abbreviation domain. If you have a short name, you have more opportunities for creative branding available to you. Part of the reason why social media platforms primarily use short names is for the word of mouth potential. In general, the longer a domain name is, the lower the chances of someone repeating it to a friend. If you look at the “household names” i.e. brands so universal that people talk about them constantly, you will discover that most are short with only a very small minority being long. Numerous companies use acronyms and abbreviations for this reason. People often don’t have an idea of what an acronym means, even though it is a household name. For instance, GEICO being Government Employees Insurance Company, and BP being British Petroleum. Yahoo!, Bing, Google, and other search engines prefer using simple, easy to recall URLs that deliver what they promise. URLS filled with jargon, special codes, or item numbers can actually hurt the ranking for a specific page because a simple URL is a lot easier to read and recall than a complex one. URLs that are clear and easy to recall at a glance are more likely to be clicked on compared to complex ones. In addition, URLs with clear keywords provided as links on the homepage can provide an SEO boost since it contains anchor text. Essentially, the greatest SEO benefits you will derive from a clearer and shorter URL are a reduced bounce rate and an increased click rate. User experience is also important and affects SEO in a greater way than you might expect. A short domain name is easier for mobile users to type, and realizing just how popular mobile web navigation currently is, you need to keep these users in mind. Apps may handle a lot of navigation, but if mobile users see URLs somewhere, they still have to type them in. Typing on mobile devices is not as easy as doing it on laptops and desktops, which is why you need to ensure that it is as convenient as possible for users to type in your URL. In addition, a shorter domain name provides more versatility when it comes to designing mobile websites, since it is easier to fit on a smaller screen. In the new season of the championship of England, fans have already seen quite a few unexpected results. 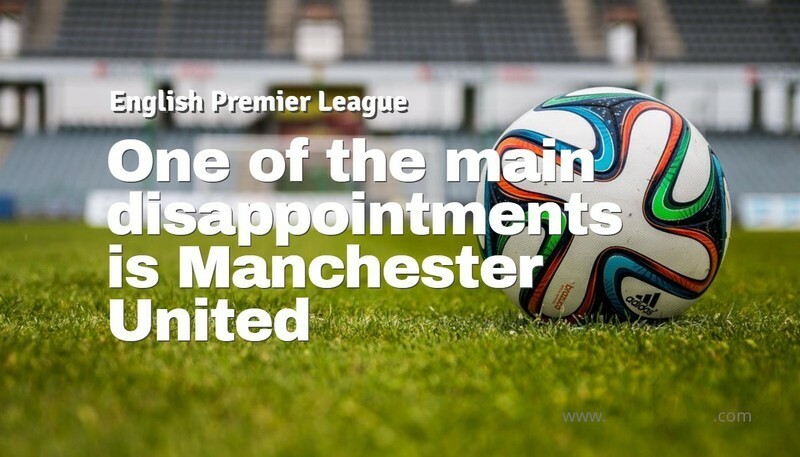 One of the main disappointments at this stage is Manchester United, that not only does not fight for the first place, but also runs the risk of being kicked out of the Champions League altogether. Lack of good defense players. The defense line of the Red Devils consists of Lindelof and Jones, who regularly scores to their own goal. As a result, even one of the best goalkeepers in the world, David De Gea, can do nothing in this situations. Bad shape of some leaders. After the World Cup, Pogba and Lukaku were noticeably tired, and so far they have not demonstrated their full potential. Unsuccessful coaching decisions of Mourinho. It seems that the Portuguese has largely exhausted himself in the United, because he often makes the same type of substitutions. For example, he fielded Fellaini counting on high balls and the Belgian performance at the «second floor». Small businesses struggle more than established corporations in building and retaining a strong team. Period! Although the number of employees is significantly higher in the latter case, the retention rate is lower in the former. Popular corporations attract employees; making it easier for them to hire candidates, full of potential, while small businesses struggle in attracting such candidates and keeping them at the company because even the employees see the benefits of working for multinationals. What can you offer to keep the employees happy with your brand? Small business owners need to understand the importance of quality over quantity. They cannot go around recruit ten candidates with little potential in them; instead, they need to hire five candidates, who are capable enough to handle the same amount of work. Hiring by degree, not abilities is what increases their expenses severely; making it impossible for them to offer any other benefits to their employees. Find the right individuals and follow this statement, “keep the number of employees low and benefits high”. This is something that large corporations also lack at times. One should always value each task because the small tasks are as important as big ones to keep your company afloat. Some roles in a small business may seem insignificant to others, but as the business owner, you need to value each position, and only then, your employees will appreciate them too. How would you feel if someone says that your role is insignificant? Not good, right? Your employees will feel the same thing if you do that. Value them to keep them determined and dedicated. As a small business owner, you cannot afford to hire individuals who don’t think as you do. Your employees need to believe in you and your ideas; only then your brand will grow. This does not mean that you should not allow them to speak their opinions or hire no one who is more experienced than you. However, employ such candidates so that you can improve your business practices and walk right into the big leagues. Keep your ego aside and focus on the growth of the business. The first step that you need to take is to set tangible goals for your employees. This will not only help them achieve the desired results but also enable you to measure their performances. Small businesses need to celebrate successes and failures more often than large corporations because that will keep the employees motivated. Yes, you need to celebrate failures as well. Do that in a way where it becomes a learning experience for the employees, and they strive towards stepping into success bracket as soon as they can. You need to work towards achieving success in the long term. Set your goals for future, and measure at each step to make sure you are on the right path. Short-term decisions, grudges and strategies will do no good to your business, if they are not targeted for the long haul. Be focused! If you don’t value the opinions of your employees, why will they want to work for you? Consider their suggestions and complaints, and do something about it. Resolve queries and conflicts as soon as they arise to make sure the internal environment of your business stays positive, and your employees motivated. You can employ effective team building activities to help them get to know each other better. Organise exciting and engaging work away days to help them shed off stress and feel good about working for you. This will encourage motivation, productivity and communication among your employees, which will enhance your business practices notably. Small business owners don’t have to possess little minds too! Value them to get valued by them! Your team will get stronger if they trust each other, are comfortable with one another and are dedicated towards your business. Money is not everything; give them a good reason for staying with your brand! Advertisers spent £476 million more on smartphone video ads in 2017, making it the fastest-growing online ad format, according to the latest Digital Adspend report by the Internet Advertising Bureau (IAB) UK and PwC. This was a rise of 69% on 2016 and took total spend on the format to £1.17 billion. Video ad spend overall (including phones, computers and tablets) increased 47% to £1.61bn. Thus, 73% of all video spend now goes on smartphones. 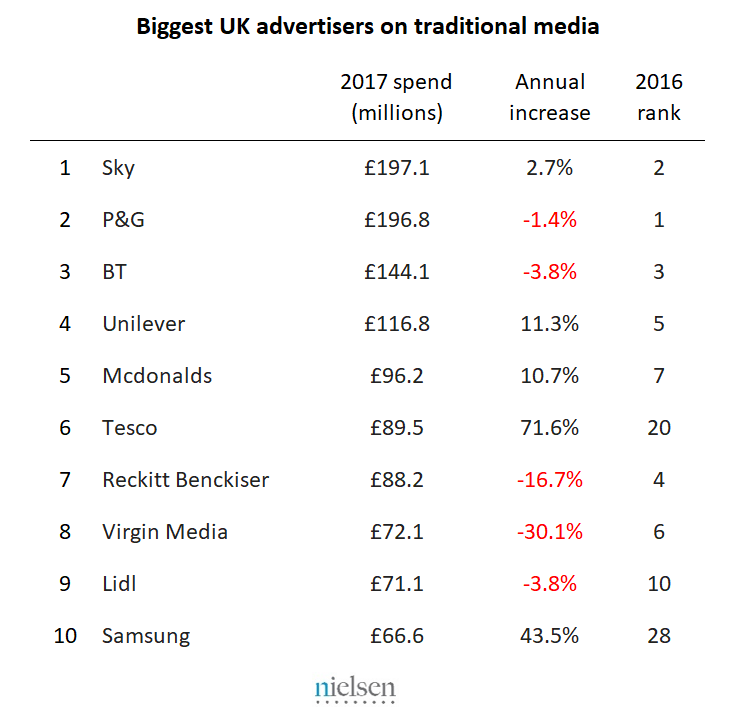 Sky overtook Procter & Gamble as the biggest spender on traditional advertising in the UK in 2017, increasing year-on-year spend by 2.7% to £197.1m, reveals Nielsen data released today. P&G’s spend dropped 1.4% versus 2016 to £196.8m, as did BT’s who retained third place despite a fall of 3.8% to £144.1m. Nielsen’s figures include the seven major traditional media formats but exclude internet advertising. 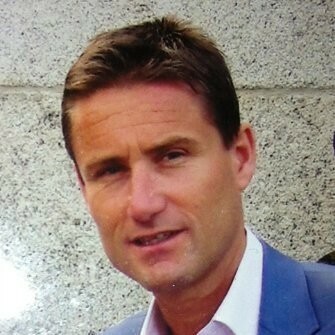 Tesco (up 71.6% to £89.5m) and Samsung (up 43.5% to £66.6m) had the largest annual increase among the top 100 spenders. Consequently they became new entrants to the top 10 – jumping 14 and 18 places, respectively – replacing Amazon (down 16.5%) and furniture retailer DfS (down 13.5%). Waitrose, Confused.com and Google completed the top five in terms of the biggest percentage rise in traditional ad spend. “It was quite a chalk and cheese year in terms of how the very biggest advertisers changed their emphasis on traditional advertising,” says Barney Farmer Nielsen’s UK commercial director. Aldi (down 32.0% or £22m) and Virgin Media (down 30.1% or £31m) had the biggest decline among the top 100 spenders. Overall, the Top 100 spent 3.5% less on traditional advertising in the UK than in 2016 but still accounted for 60% of spend, while the overall market fell by 2.5% or £258.1m.